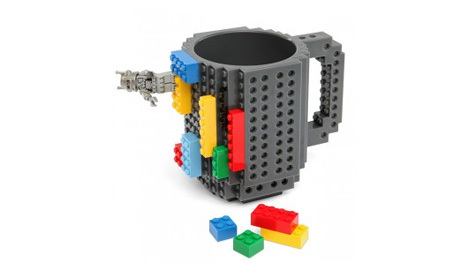 Coffee and LEGOs might not seem to go together, but the Build-On Brick Mug proves that they are a pretty awesome match. The black plastic mug is compatible with a ton of other popular building sets, too – so no matter which set you’ve been collecting for years, you can break it out of storage and start creating scenes on your coffee mug. The mug has both male and female connectors all over it (even on the bottom! ), meaning you can attach bricks facing in and facing out. 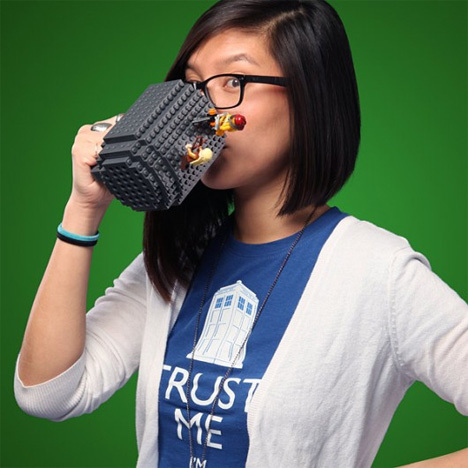 You can even build the crazy buildings or vehicles of your dreams, then attach them to your mug and carry the whole thing around your office to show off your clearly superior brick building skills. Although it’s a cool mug that we’d really enjoy playing with, the rim looks like it would be a little hard to drink from without dribbling. Still, maybe the awesomeness of having a LEGO (and K’NEX, and Mega Bloks, and PixelBlocks, and KRE-O) mug would be worth a few dribbles. 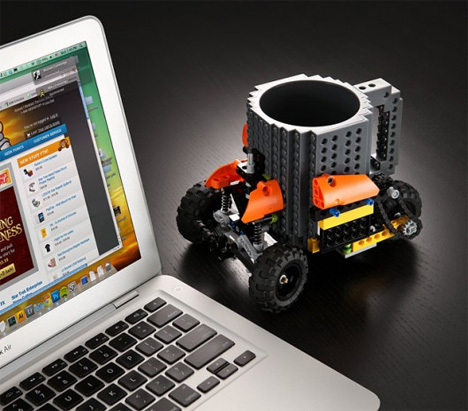 The Build-On Brick Mug is available from ThinkGeek for about $20.